Testifying at the trial of Radovan Karadzic, a former member of the Dutch Armed Forces spoke about several sniper fire incidents in Sarajevo during the war, saying he believed the bullets were fired from territories that were controlled by Bosnian Serbs. Hague Prosecution witness Patrick Van Der Weijden, an expert in sniper fire, told the Court that in 2006 and 2009 he visited 17 locations that had seen sniper fire and that are mentioned in the indictment against Radovan Karadzic in order to determine “the positions from which the sniper fire could have been launched”. “Investigators would bring me to the incident locations. I would then check the locations for which I had coordinates. After that I tried to check the spot where the victims had been hit. This included the height at which the bullet hit the victim, the surroundings, the possible existence of clear lines of visibility... Then I tried to determine the location from which the bullet had been fired and whether it was technically possible for it to land there,” Van Der Weijden said. Karadzic, the former President of Republika Srpska, is on trial before the International Criminal Tribunal for the former Yugoslavia at the Hague for genocide, crimes against humanity and violation of the laws and customs of war committed between 1992 and 1995, as well as participation in a sniper and shelling campaign in Sarajevo in the same period. The indictment alleges that the shelling and sniper fire by forces commanded by the indictee killed and wounded thousands of civilians, including children and the elderly, through unselective and excessive attacks against civilians who were performing their daily activities. 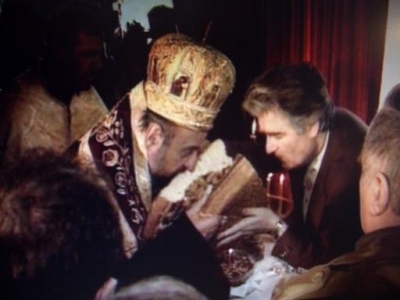 Speaking about the wounding of a three-year old girl in Sirokaca in Sarajevo in 1993, which is one of the incidents for which Karadzic is charged, witness Van Der Weijden said he determined the bullet that had hit the girl could “only have been fired from Baba rock”, which, as explained to him later, was controlled by Bosnian Serbs. The indictment alleges that, on December 13, 1992, Anisa Pita was hit by a sniper bullet in her right leg in front of her house in Sirokaca in Sarajevo. “I went to the place at which I assumed the bullet hit the victim. As this was a three-year old kid, I knelt down and looked for open spaces from which the bullet could have come. Given the fact that the house was surrounded by a fence, the only area from which the place could be seen was in the mountains. So, I concluded that the bullet had been fired from Baba rock,” the witness said. Indictee Karadzic objected to the witness statement, arguing that the Hague Prosecution wanted to use his testimony in order to “include, in the case file, a large number of facts that the Defence will not have a chance to deny or examine”. During the course of cross-examination Van Der Weijden said he “had never determined, beyond reasonable doubt, the positions from which sniper bullets had been fired”, but his task was to identify “potential locations from which fire had been opened”. The cross-examination of this witness is due to continue on Tuesday, September 28.